Katie Hulme, Maths Lead at Watermill School and BTSA SLE, discusses Watermill’s adapted Singaporean Bar Model journey. 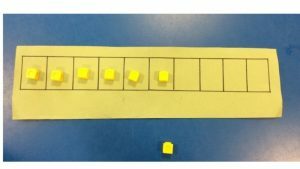 At Watermill School, we have been developing an adapted Singaporean bar model approach over the last 2 years, to help our children grasp the basic principles of number at P level and early National Curriculum. 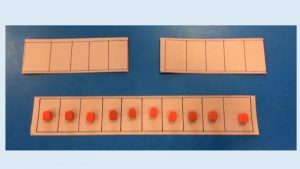 This has involved building upon the theory behind the Singaporean approach and developing a variety of different adapted bar models that will help our children to gain a rich and deep understanding of these important basic maths skills. 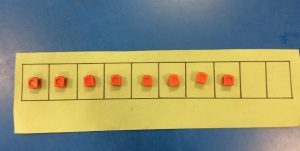 These bars include working on skills for counting, recognising quantity, comparing amounts, basic addition of two small numbers, taking 1 away, patterns, place value, number bonds and finding ½ and a ¼. 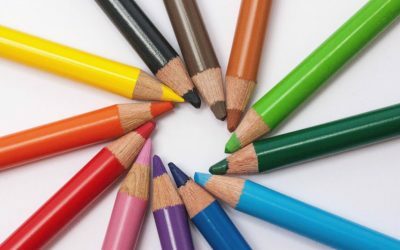 Skills are taught through using the language of problem solving from an early age and using real- life maths stories based on what the children can relate to and the school topics; to make the maths fun and realistic for the children. The success and impact of our journey can be seen in our results for number after the initial implementation of the approach. In 2013-2014 66% of our children were making good and excellent progress – meeting or exceeding their end of year targets in number. In 2014/2015 after the Singaporean approach had been implemented in school this figure rose by 23% to 89% of children making good and excellent progress in number – meeting or exceeding their end of year targets in number. Data for 2015-2016 continues to show all our children making good progress in number as the methods continue to be used throughout the school. 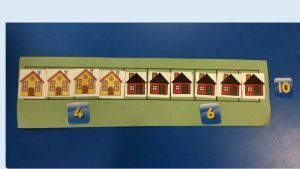 Our journey has resulted in the teaching of maths number work using the Singaporean style of maths at Watermill being unified through Early Years up to KS3. 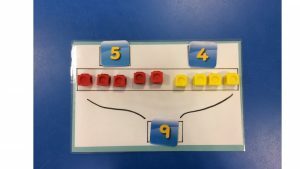 The concrete, pictorial stage of the approach is being used in each of these classrooms regularly to teach number and early addition, and early subtraction and other aspects of basic number skills. 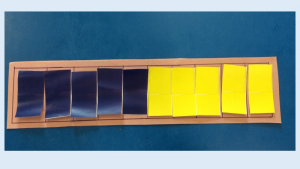 This will provide the basis for the abstract form of the bar model approach to be introduced as the children move through the school when and where appropriate. 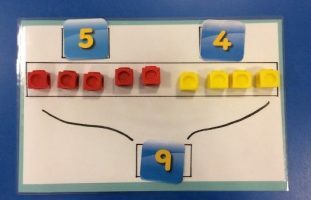 As a school, we have watched the progress of the children when using this approach, with them showing a deeper understanding of number alongside a conceptual understanding of what they are doing when counting, comparing, adding, subtracting and visualising problems and other concepts. Staff have been wonderful in using and adapting parts of the Singaporean approach to maths to use with our children. 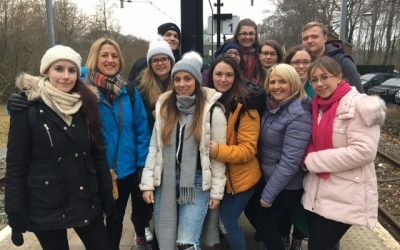 We have had regular update meetings where staff from different classrooms have brought examples of what they had tried since the last meeting, plus plenty more examples that are continuing to be used throughout school. Our meetings have always been very positive and has been fantastic to see how the approach could be adapted to suit the different abilities and ages in our school. As a school, we are very proud to see how our excellent teachers have taken to this and how well our children are responding to this teaching style and most importantly how our children are enjoying it. With the successful implementation of our approach, a calculation policy has been developed. This contains stages for counting and addition, subtraction, multiplication and division. The policy enables staff to see how they can help their children progress, moving on when necessary and how the parts of the Singaporean approach link in well to the different stages. The new policy is based on calculations using the language of problem solving from the very earliest stages to link in with the new national curriculum. After meeting with the North Mids. and Peaks Maths Hub Lead to discuss our adapted Singaporean approach and to look at examples, resources and our calculation policy for P level and National Curriculum Y1,2,3 in our school, he was keen to share this within the Hub and further afield. I was asked if I would speak about our approach at a training event for ENTRUST at Burton and share our journey. 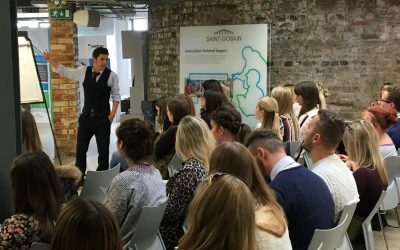 I went ahead with the training event and spoke to a group of 12 people including teaching assistants, teachers, heads of departments and SENCO’s. The event was successful and I got a lot of positive feedback from the delegates and one of the organisers from the event. The Maths Hub Lead also asked me to run a work group, here at Watermill, for around 16 teaching assistants, where I spent an afternoon introducing the method; setting a gap task and then another session was held where feedback was given on how the gap task went in the delegates schools. 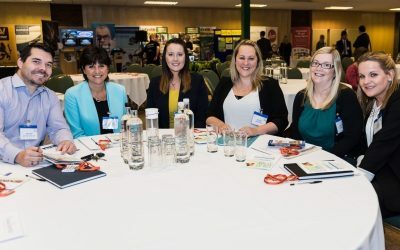 I have also shared our approach at a Maths Hub conference held at Uttoxeter racecourse and at other meetings and as CPD sessions for other schools. I find sharing our adapted approach extremely enjoyable and feedback from people who have attended my training sessions on how the approach has helped their children again makes it extremely worthwhile. Sharing the work and journey we have been on with our adapted Singaporean bar model approach on as a school has been fantastic and has led to successful completion of my NPQML and my appointment as a BTSA SLE.